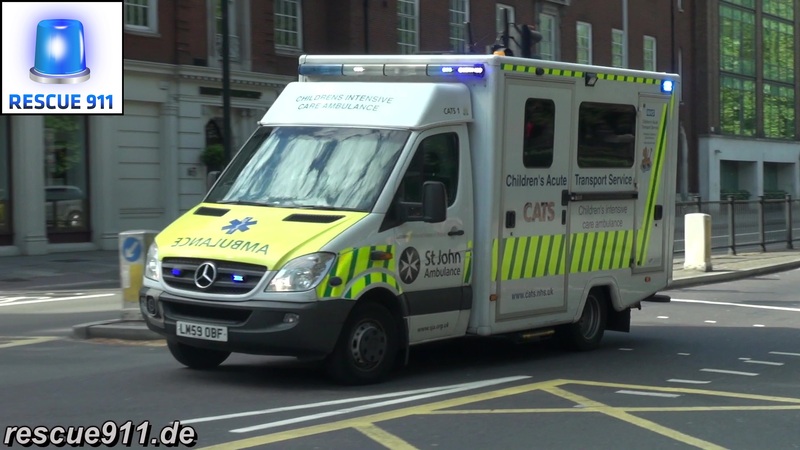 A children's intensive care ambulance, also known as CATS (children's acute transport service), of St. John Ambulance responding in London. It is the first time I hear it with air operated hi-lo siren running. 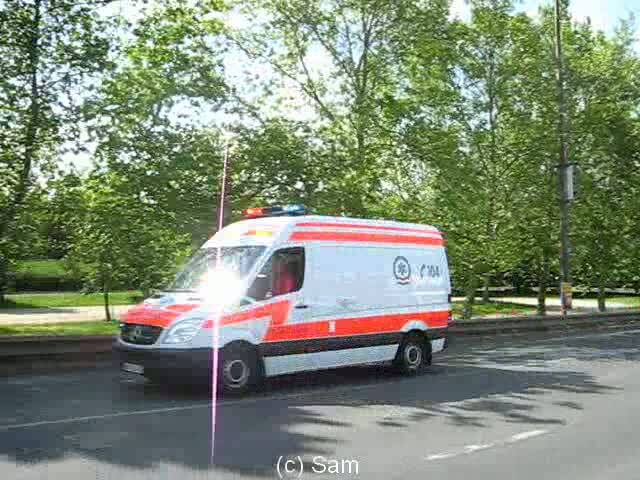 Ein Baby-Notarztwagen von St. John Ambulance auf Alarmfahrt in London.